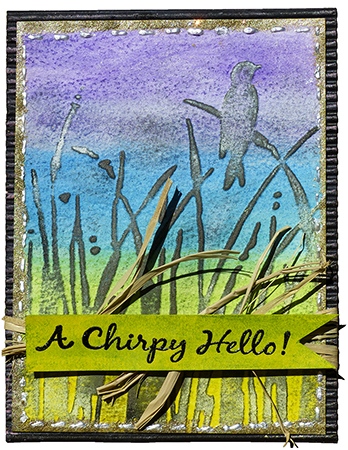 This is a quick card that I made for the “Watercolor Crayons: Techniques For Stampers” eArticle. The layout and design of the card isn’t really the strongest, but I like it for two reasons: I love the strong colors and the feel of it. 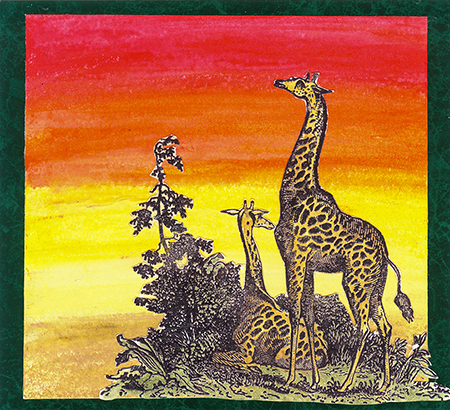 And I like that it shows two very different ways that you can use watercolor crayons in stamp art: to create a vibrant background and to subtly color and shade a stamped image. New eArticle To Be Posted Later Today! Good Morning! I am busy doing the final work to get the brand new “Gelatos, Gel-Sticks & Stamps” eArticle posted on VSN’s website. I should have it up by early afternoon. In the meantime, I thought I’d give you a sneak peek at one of the pieces of artwork created for this eArticle. This card was created by Shona Erlenborn. Continue reading New eArticle To Be Posted Later Today! 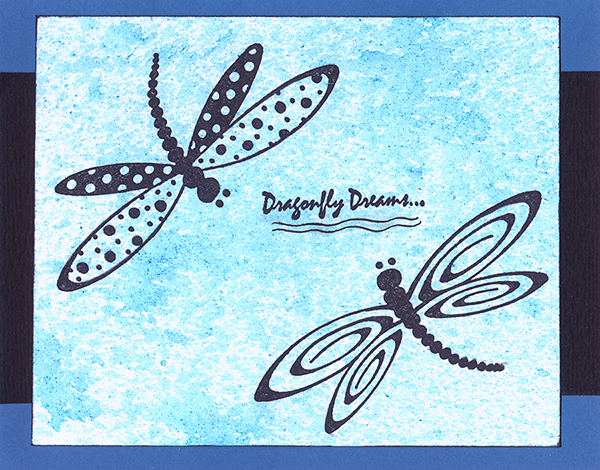 This is a simple card that I made today for the upcoming “Gelatos, Gel-Sticks & Stamps” eArticle. I’ll tell you how I made it in the eArticle itself. I wanted to share it because I made a goof on it and had to fix it . . . and although it would not have dawned on me to make the change required by the fix, I think it was just the touch that the card needed. (Don’t you love it when things work out that way?) Can you find the goof?